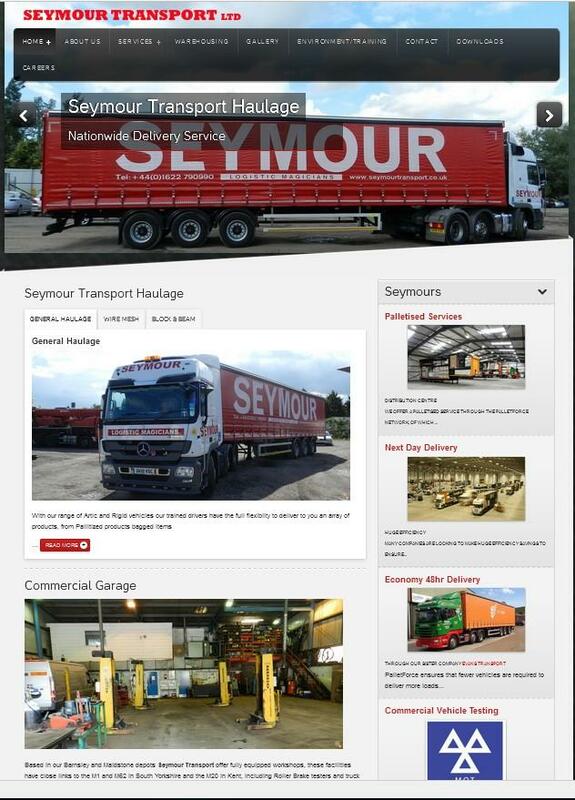 Seymour Transport are a large haulage business based in the South East of England in Kent. Owned by Evans Transport now they needed a corporate presence that was in line with Evans Transport so we have created a similar feel website to Evans so that the user is in no doubt of the connections between the two companies. The site is full mobile ready and has a delivery login for their customers and is picture rich for everyone who love those Lorry images! Look out for a blog coming soon with up to date company information to help promote the Seymour brand. Call us now on 0843 289 7127 or send a message to get a prompt response from here.